Nowadays; who don’t want to stay connected with the digital world without wired internet? Like a pro internet user, you may reply me “yes” I want to stay connected online without wired internet connectivity. As a result; everyone like to use a wireless router for their home ground and workplace. But they face sometimes a few unwanted problem with their own router or getaways. Like a poor wireless network, less internet frequency and media stream buffering etc. The endless range does not provide high-quality signals for their wireless devices. As result; they’ve been facing the hold problems. To get released from the unwanted problems I will be introducing you to a new wifi range extender. To be honest, if you want to buy any kind of range extender before you read the Amped Wireless REA20 Review. Hope, you will get lots of beneficial information in here. That will help you to decide what kind of wireless range extender better for your home ground or business workplace and the range extender back you worth of money. The Amped is a US based mobile operator company and they accumulated their business on 2005. In last year they manufacture Amped Wireless REA20 range extender for developing their business and they start to get more feedback from the various online marketplace. They include powerful Gigabyte processor with three high range covered antenna on the range extender. Also used Wireless-AC next generation ultra-fast AC1200 wifi speeds that help you streaming HD 4K videos and gaming console. Why maximum user makes 5-star upvote on various online marketplace about the range extender REA20, I will explain here. Before going to the discussion we should get more knowledge about the device from the key feature. The key feature will help us to know a lot of hiding information about Amped Wireless REA20. The amplifier is a kind of electronic that converts the low power radio frequency signal into a high power radio frequency. Basically, the systems work with the antenna of a transmitter. The Amped Wireless REA20 include ten high power amplifiers and three high gain antennas to transmit a wireless signal more strong like 10x faster. If you are a wireless router user then you know something about Wireless-AC. What you think right now “You don’t remember what is Wireless-AC”? okay, dont worry I explain you, the Wireless-AC is next generation wireless systems that will provide you 10X faster than wireless-G service and nowadays it is upgraded wireless interface. The Amped Wireless REA20 developer group include the AC1200 wifi with the device. The Amped Wireless REA20 used high power processor to response the range extender faster than Linksys AC1200 range extender. It will more powerful response time with your router and internet gateways. They also include five gigabit wired ports that are unique feature. Basically, every router and range extender included four wired ports to connect an eThernet cable to the wifi router and range extender. But here you will get five wired ports and you can share many kinds of document, file, movies to your every single wifi enable devices. Also user able to print any kind of document over the wifi. 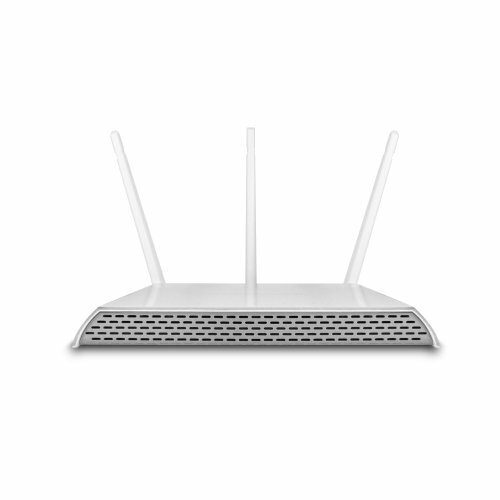 Do not work speedily when setup the range extender in proper place between primary router and internet gateways. Answer – The Amped Wireless REA20 range extender include USB 2 port that helps you to plug external HDD, Flash Drive, Printer, etc. Q -2. Will this improve a weak signal? Answer – Yes! It will definitely improve a weak endless wireless signal to high-frequency radio signal. The Amped Wireless REA20 range extender includes ten amplifiers transmitter that helps you to boost your low wireless signal to 10X strong wireless network. Q-3. The 3 antennas included? Or do I buy separately? Answer – No! The range extender comes with included 3 antennas. The antennas don’t need to buy separately. You need just open the box and assemble the antennas. Q-4. What makes it so difficult to install? Answer – No! It’s really easier than other wifi range extender. Just power on the device and find your wireless network SSID and connect with your own SSID. Q-5. What is Amped Wireless REA20 range extender customer support? To the ending point; hope you already get full information what you want to know about Amped Wireless REA20 range extender. So, stay online everywhere of the world with the Amped Wireless REA20. I hope you will not be disconnected from the digital world due to the low wireless connectivity. Just place the REA20 range extender proper place of your home and office. If you think I am right in the hold conversations, then you can consider to buy at Amazon. Linksys ac1200 max RE6500 review – Why Should you consider to buy Linksys RE6500?